With the technology development, the smart agriculture has entered a period of rapid development. Through the research and development of open source farming equipment, the agriculture technology development has been accelerated effectively. Meanwhile, the social community cooperation also combines experts from diverse industries to develop new agricultural applications. Being 100% open source, FarmBot is expected to be enhanced and promoted by local communities to improve the innovation of agricultural technology. As the 3D printed X, Y, Z axis became open source, the application of XYZ contributed to the birth of FarmBot. Based on the XYZ eco system, more support from agricultural mechanism and plan software help realize agricultural automation. 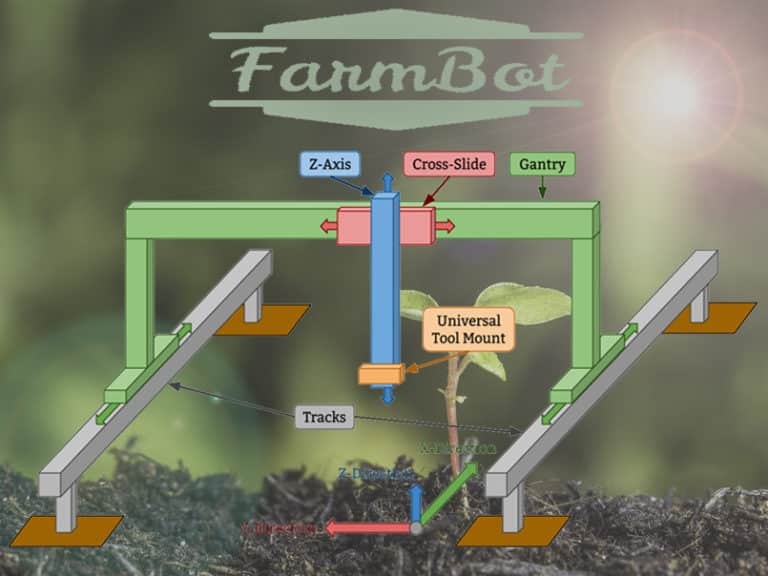 Like a large 3D printer applied in agricultural technology, FarmBot integrates the software and hardware and allows farmers to “farm without walking to the farm.” Also, working with sensors, FarmBot is able to monitor the farm automatically. Imagine that once FarmBot is set up, you don’t have to take care of it. After a few weeks, you will have the harvest. Want to join FarmBot now? 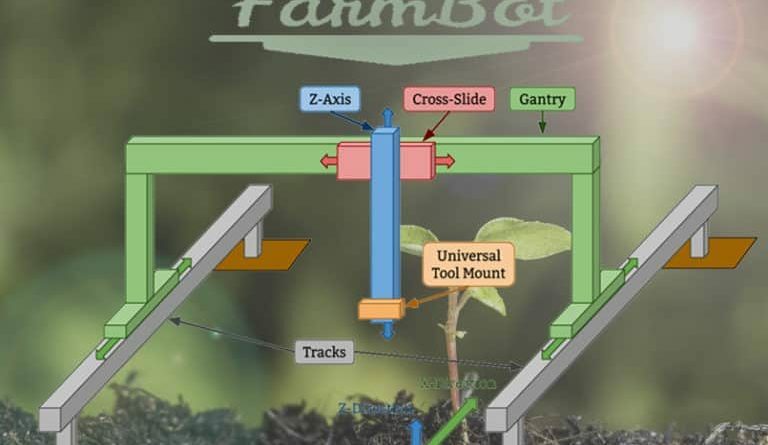 Since FarmBot is open source, it’s easy to find the mechanism diagram on the Internet, buy the components, and 3D printed small components needed in the project. If you’d like to save time, you can buy the entire set from the company founded by Aronson. The set costs around USD$2900. In addition, if you’d like to extend the functions, you could customize the device. 1. Raspberry Pi: it could be seen as the brain of FarmBot to perform all computing tasks. 2. 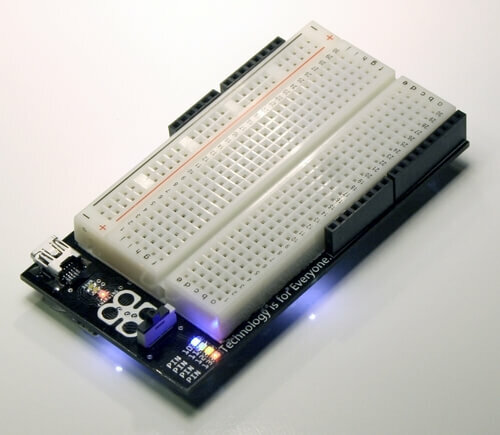 Arduino Mega 2560: It’s a micro-controller based on ATmega2560; it contains everything that a micro-controller needs. You can start using it while connecting the chip with computer via USB cable, AC-DC adapter, or battery to get electricity. 4. Aluminum tracks and gantry: have the stepper motor move around the growing area. 5. 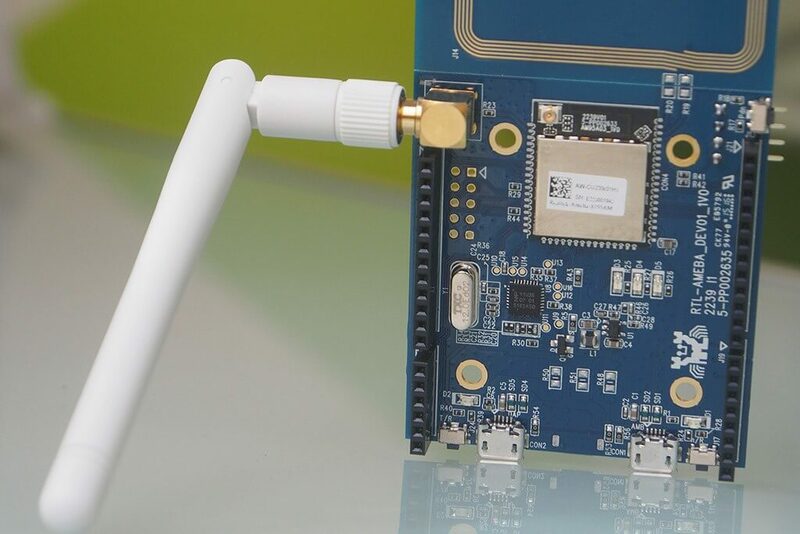 Types of sensors: working with Arduino boards, the sensors could automatically monitor (e.g. moisture and temperature) and water in a smart way. 6. 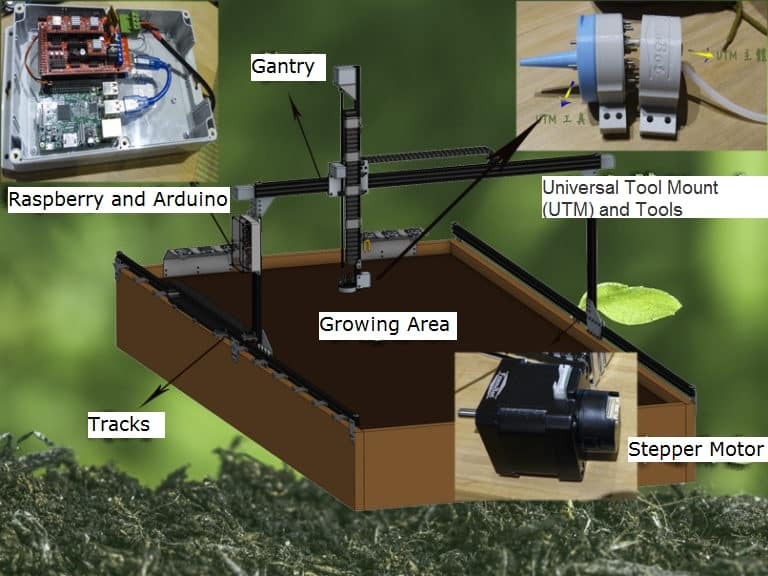 Universal Tool Mount (UTM) and Tools: Stepper motor controls the UTM to attach UTM tools to inject seeds, water, monitor soil, etc. Since the installation steps are complicated, we don’t explain the details here. You can find the installation steps from the Internet. 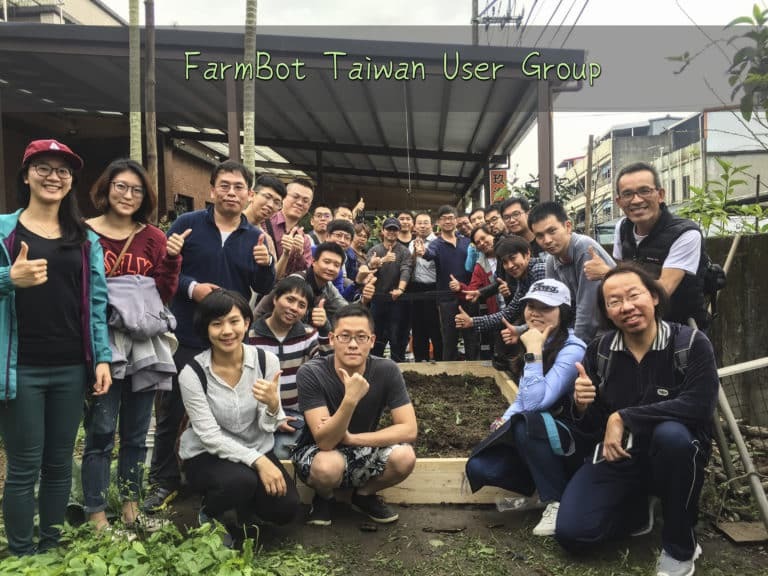 Developers in Taiwan could join the Facebook group “FarmBot Taiwan User Group” (FBTUG) to find and share the useful information. The development of open source greatly makes it easy to start a project. 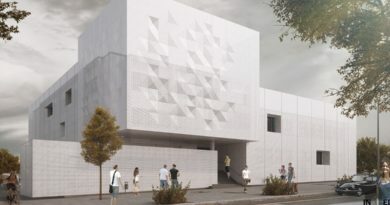 The cheap price also helps the open source to be applied to diverse industries and results in new industries. To keep pace with the global industry trend, we need to take actions as soon as possible. 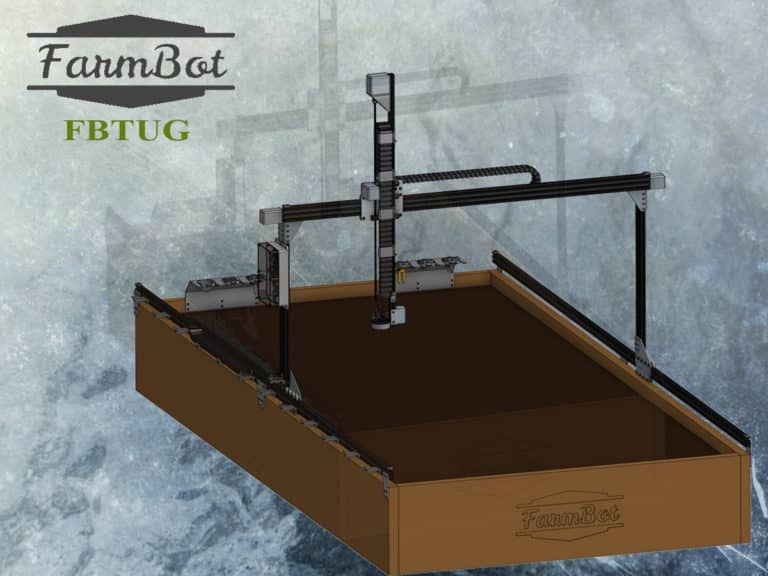 FarmBot is getting matured and has greatly contributed to the whole world. We hope that FarmBot could connect more sensors and devices to fully monitor smartly, harvest and disinsect automatically. 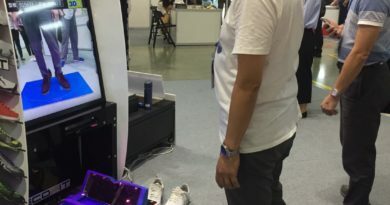 Also we are expecting makers in Taiwan to build a unique FarmBot, to provide feedback to FarmBot Inc., and to be part of the international social community.